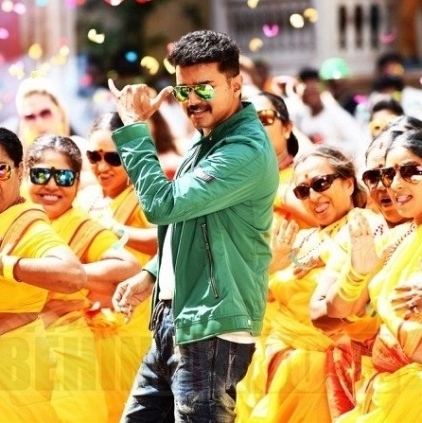 Readers may recall that during the release of Vijay’s Theri, there was an issue which had the Producer Council deciding that they would not be releasing any films to certain theatres in Chengalpet, Kanchipuram and Thiruvallur districts. To everyone’s delight, the issue has been resolved amicably today and Mr. Rakesh of Vetri Theatres tells behindwoods, “Earlier, there were some commercial differences due to which we could not release the film. Now we have decided to let the bygones be bygones as cinema business should not be killed and we should not fight among ourselves. Today, we had a meeting which had the representation of members from Producer’s Council, Distributors Association and Exhibitor’s Council (from Chengalpet). The earlier decision of the Producer’s council not to release the film for few theatres in Chengalpet, Kanchipram and Thiruvallur districts stands annulled now. We decided to bury the hatchet and work as a family. We will very soon be forming a committee which will have two senior members each from Producer’s Council, Exhibitors Association and Distributors Association. In future, if there is any conflict, this committee will address and resolve the issues so that things will not go to an extent of stopping the release of any film. As regards the release of Theri, since we have opened the bookings for other films, slots are less now. So mostly, we will release Theri on Monday. If they accept for a weekend morning shows, we will do that. Otherwise, it will be Monday. In case there are screens which have no movie shows, they may do it tomorrow itself. We will anyway try to release the film by this weekend"
Now, all is well that ends well! People looking for online information on Rakesh Gowthaman, Theri, Vettri Theatres will find this news story useful.